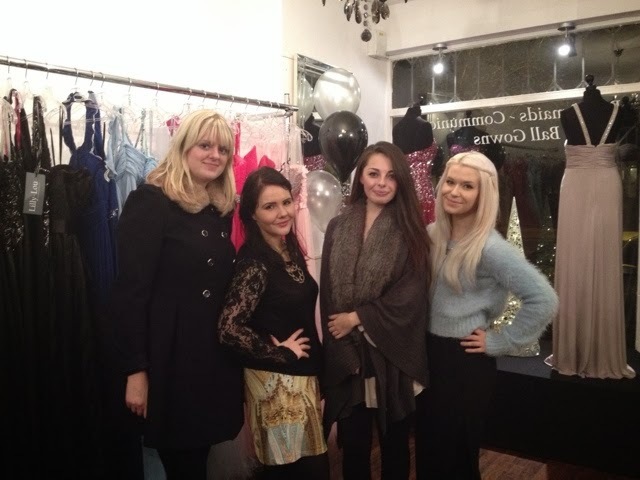 On Thursday, I was lucky enough to be invited to a fashion night at Lilly-Lou’s in Shirley. It’s a small boutique which flaunts elegant gowns, beautiful ball dresses and extravagant pieces for all occasions. The second I walked in the door with my camera, I was pounced on by Holly, a worker with a huge smile, who dedicates her time to making women look beautiful in their pieces. I was soon introduced to Miss Birmingham, who was attending the night, wearing the most gorgeous glittery dress. She is a beautiful girl who goes by the name of Rachel Barker. I managed to take a few snaps of her, and she looked stunning in her dress, which was also from Lilly-Lou. I was happy to meet other bloggers, who had travelled far and wide to come to the event. We all got talking over champagne, and cupcakes. It was wonderful. I was taken into the back room by Holly, who showed me a table, which was decorated with absolutely stunning hand-made headbands, bracelets and necklaces. The creator, Annette Jones, and I got talking, and she allowed me to try on some of the pieces. I was mesmerised by the beauty of the headbands and she told me they can take hours to make. During the evening, we were presented with a band called Perfect 5th. 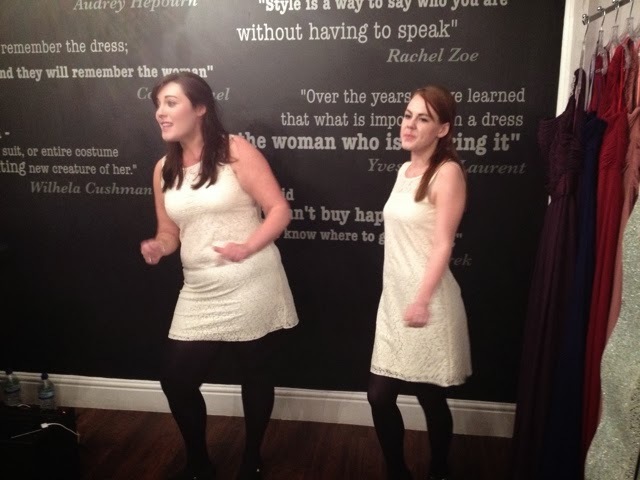 The two girls, Keeley and Megan-Louise sang some christmas songs to us, while we all continued sipping on our champagne and viewing some of the dresses. The night was very much welcome after a long week, and I am glad to have made new blogger friends from the night. (We have already planned to go for drinks in the new year!). The event was an overall success and I even bought some make-up for just £1. The shop itself can be found in Shirley, and the website can be found here. I recommend going there if you are in need of a new beautiful new dress. Plus, the staff are brilliantly friendly and helpful.